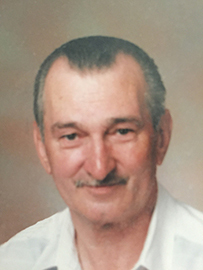 ROBERT ‘BOB’ WILLIAM GARRETT, age 90, of Lethbridge, AB, passed away peacefully on November 24, 2018. Robert was born in Fort William, Ontario on May 15, 1928 to Harry and Dora (nee Lane) Garrett. He was married to June MacKinnon on Dec 27, 1957. He was predeceased by his parents, his sisters; Shirley, Francis and Patricia, and his brothers; Bernard and George. Robert is survived by his wife; June, children; Lori, Fred and Donald ‘Dan’, grandchildren; Patricia, Lane, Rebecca, Robert and Duncan, great grandchildren; Kylen, Samantha and Stephanie, as well as many nieces and nephews. After a full career as a dental technician in Thunder Bay, Ontario, Robert moved to Alberta in 1977 to pursue his dream of opening an antique store called Passage of Time Collectibles, which he enjoyed right up to retirement. He was an avid coin collector, gardener, amateur poet and writer, jack of all trades, master of none. Robert loved his country, his family, and lived as a proud Canadian. He will be sadly missed by all that knew him. A Celebration of Life will be held on Saturday, December 1, 2018 at 12:00 noon at the home of Dan and Lisa.